Get the details. 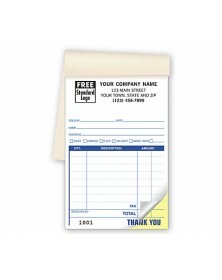 8 lines provide ample room so orders can fit on a single page in a pocket-size format. 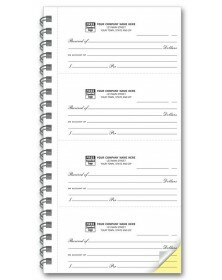 Use as a receipt or invoice, these handy books have preprinted headings that remind you to capture all the details you need. Get the details. 16 lines enable even the biggest orders to fit on a single page. Get the details. 11 lines provide ample room so orders can fit on a single page. 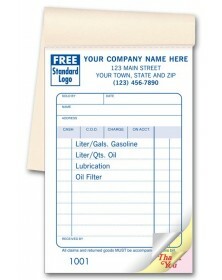 Multi-purpose carbonless sales form easily documents sales, billing, deliveries, inventory, returns & more. Take complete orders. 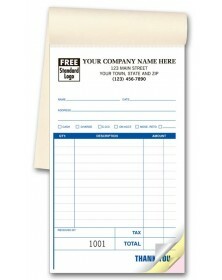 Preprinted areas simplify write-ups of customer information, salesperson, description of items, payment method & more. Get the details. 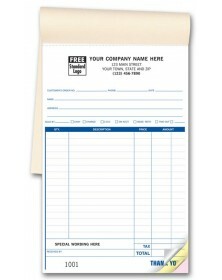 9 lines provide ample room so orders can fit on a single page. 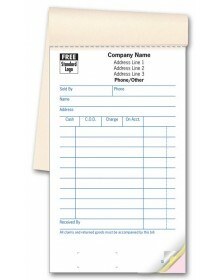 Handy forms include preprinted list of most popular items sold - just fill in quantity! Get the details. 9 lines enable even the biggest orders to fit on a single page. Get the details. 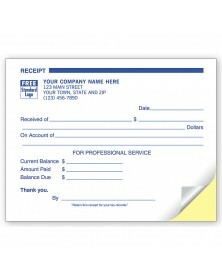 Receipt form features preprinted areas that document date payment. Stay organized. Bottom copy stays bound in book for a permanent record. 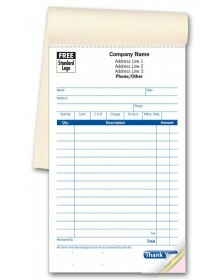 Multi-purpose sales form enables faster write-ups of sales, billing, deliveries, inventory, returns & more. Get the details. 17 lines enable even the biggest orders to fit on a single page. Stay organized. Bottom copy stays bound in book for a permanent record; in books of 50, 4-part forms are in books of 25. What comes into your company is just as important as what goes out, and our sales books offer an efficient solution for keeping track of both. 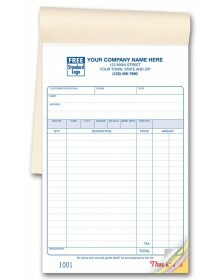 In general and specific formats, our sales books allow your business to take an order, specifying the type of item or service, quantity, price, and total, and keep a record for yourself while additionally providing a customer with one. Carbonless duplicate and triplicate forms allow all pertinent information to be recorded multiple times without additional effort, and consecutive numbering assists with short- and long-term organization. 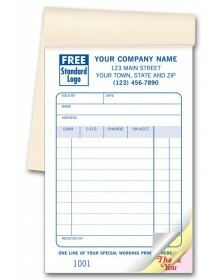 As your business may have specific needs, we can customize any order with a logo, typeface, or content.